So lovely, right! This is a shoot Elizabeth and Lisa did just for fun and sent it our way..thanks, ladies!!! Design by Oh How Charming! Oh so simple and pretty! 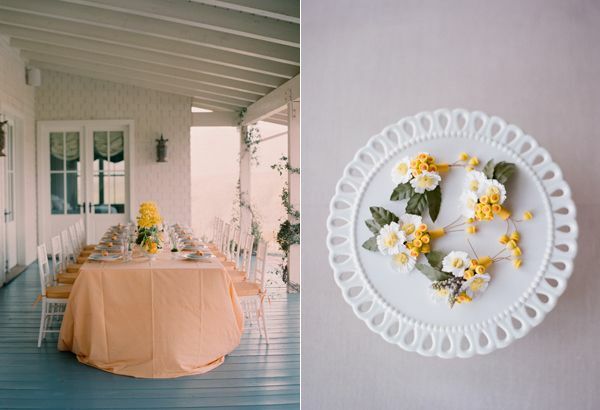 Seriously crushing on this post… the yellow POPS and looks wonderful with the peach/blush tablescape!! Oh my gosh. I LOVE THESE PICTURES. I’m crushing on her dress and his fedora. SO cute. really really pretty! i’m loving the bride’s hair with big messy bun on one side and the over-sized accent on the other. 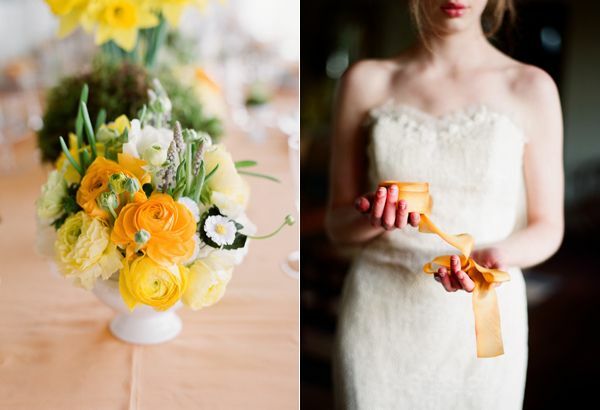 and all those yellow flowers and soft lighting, lovely! 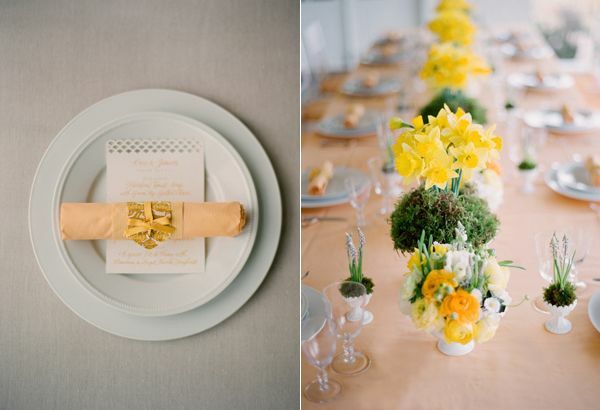 My favorite color scheme… so beautiful! GORGEOUS! And it’s no wonder….the line up of creatives behind the shoot is an amazing combo! Love watching what these ladies can do! Absolutely stunning! P.S. Love seeing the daffodils! it’s just too beautiful. thanks for sharing! So lovely! Elizabeth’s work is always beautiful! 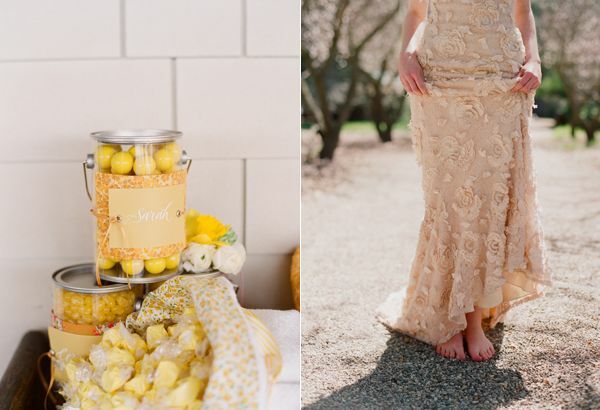 I absolutely LOVE the second dress– the lacy flower one! Perfect combination beautiful dresses by Claire Pettibone, awesome photographer. oh me, oh my… this is toooo pretty! 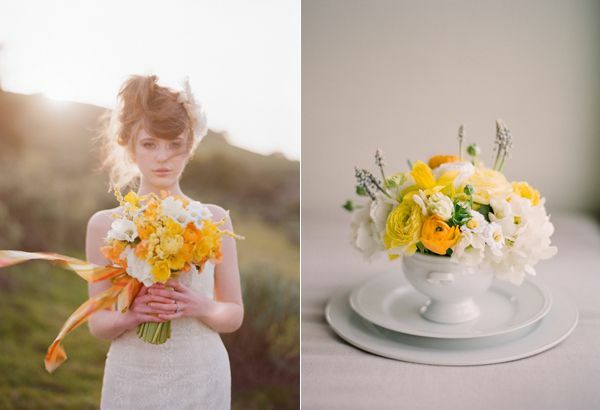 Dreamy. . .I love Messina’s work and the beautiful florals by Mindy Rice. 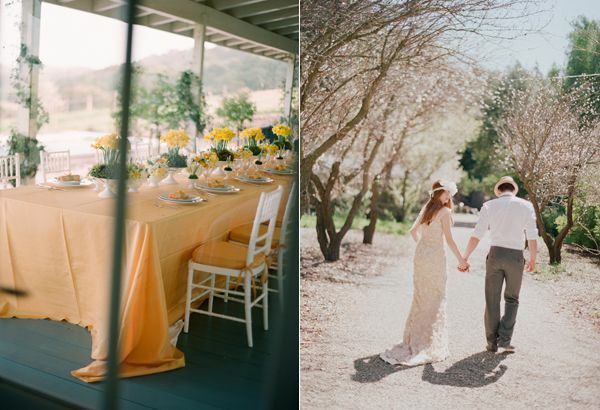 I would love my wedding to be a spring wedding, looks amazing, looks wonderful. 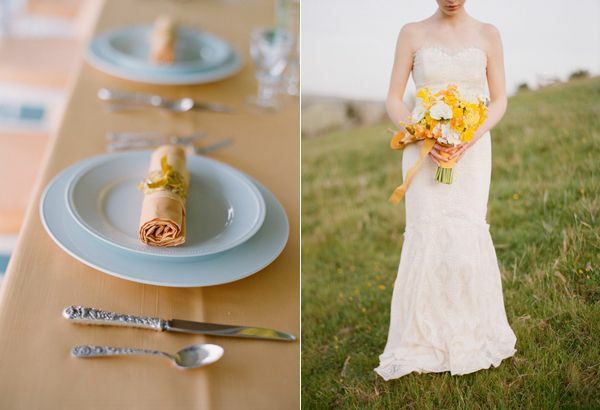 love!my wedding will be in yellow too and in spring (21st may)..
this shoot is so beautiful!!! so elegant and soft! i love it all! Beautiful and delicate pictures!! love this kind of intimate weddings. I’m loving your work here. I just created a “oncewed (favs)” folder in my markers to collect my faves… this is so inspiring!! Lovely post, thank you! 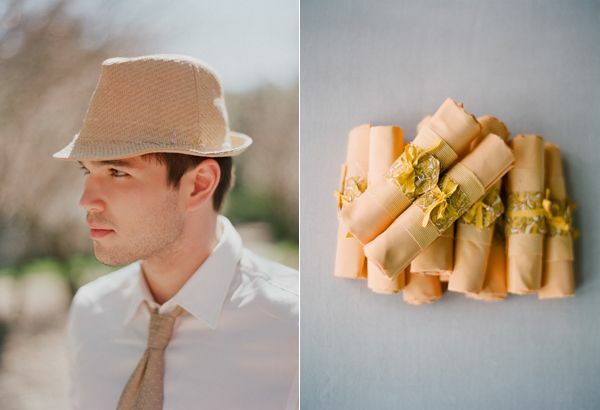 I’m using this dusty peach color in my August wedding and wonder if you could tell me where to find the man’s hat and fedora (relatively soon since my wedding is just around the corner?) Thank you! This shoot is stunning. That red-headed model is going on my girl crush list. Absolutely lovely! love the dress! does anyone know who the designer is? So pretty! 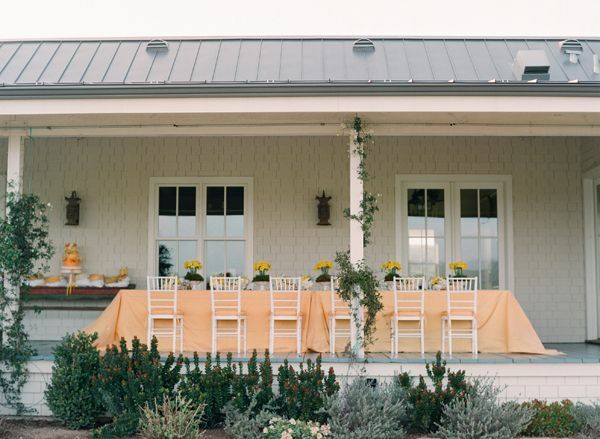 I love the peach and yellow colors together. Very fresh and sophisticated! I am in love with these colors. 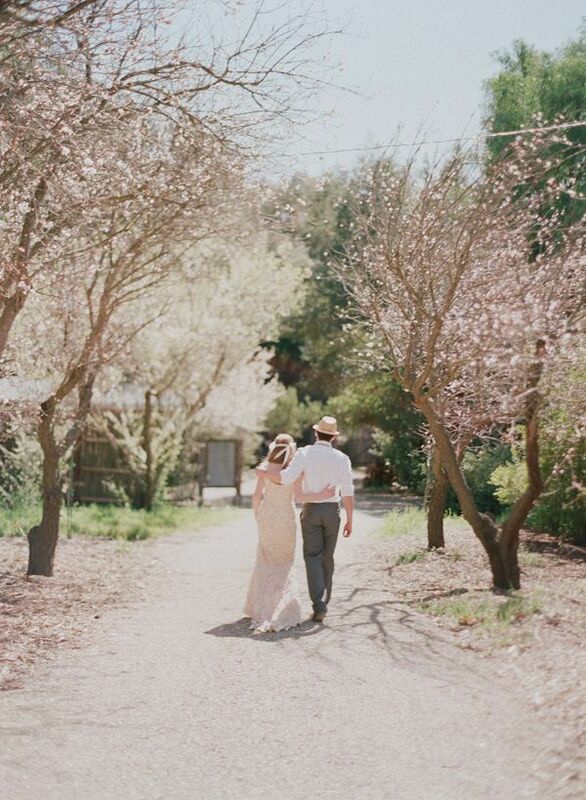 I just had my spring wedding and these pictures are bringing back memories already.